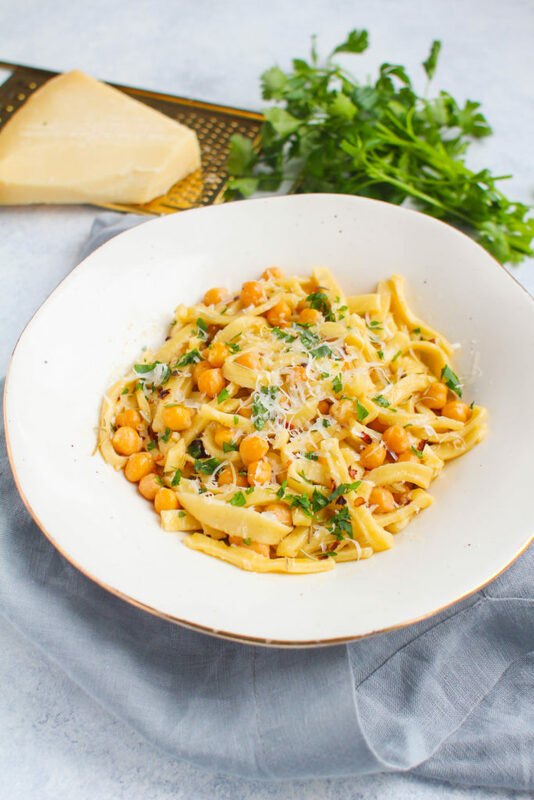 Lagane e ceci, a dish from southeastern Italy, consists of a homemade wide pasta with chickpeas, garlic and oil. 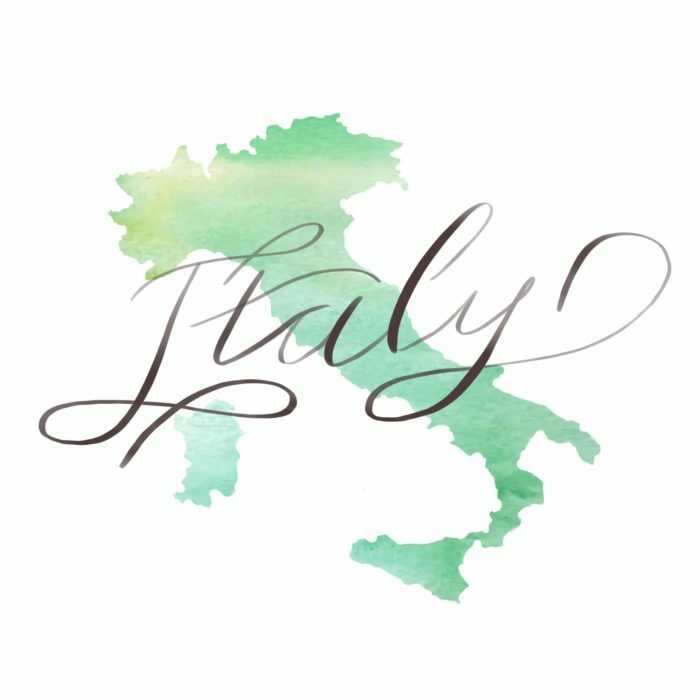 Here we are for our fifth installment of the Tour of Italy! So far we’ve tried Pasta alla Norma, Eggplant Caponata, Pesto alla Trapanese, and Crab & Parmesan Arancini. What has been your favorite so far? Mine so far as been the arancini — you can’t beat creamy, cheesy risotto and crab meat rolled in a crunchy-fried ball. Today’s recipe just might top the arancini. I made it once for myself and then again for my family when they came over for dinner and they loved it! So fun fact, this dish is actually VEGAN! Except for the parmesan garnish, if you desire. 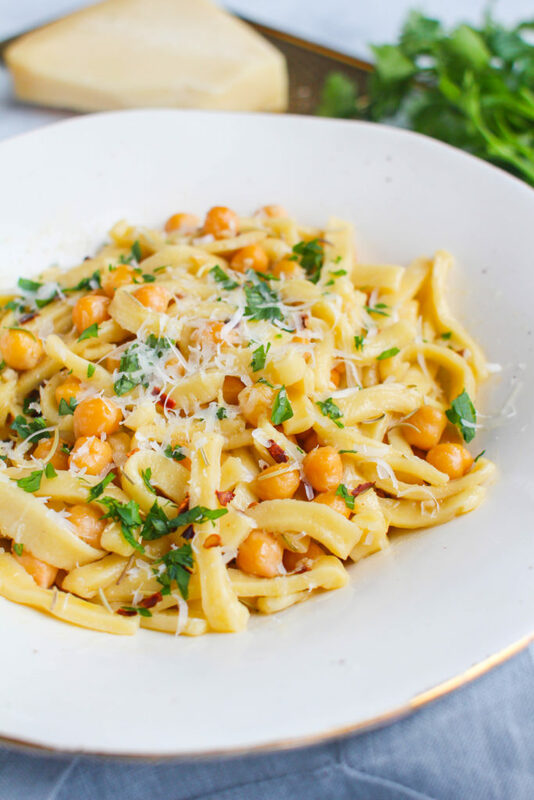 The pasta is water and semolina flour, and the sauce is chickpea liquid (stay with me), oil, white wine, and herbs. Have you ever made your own pasta? It’s actually quite easy if you have the right tools. I have a KitchenAid Mixer with the Pasta Roller . 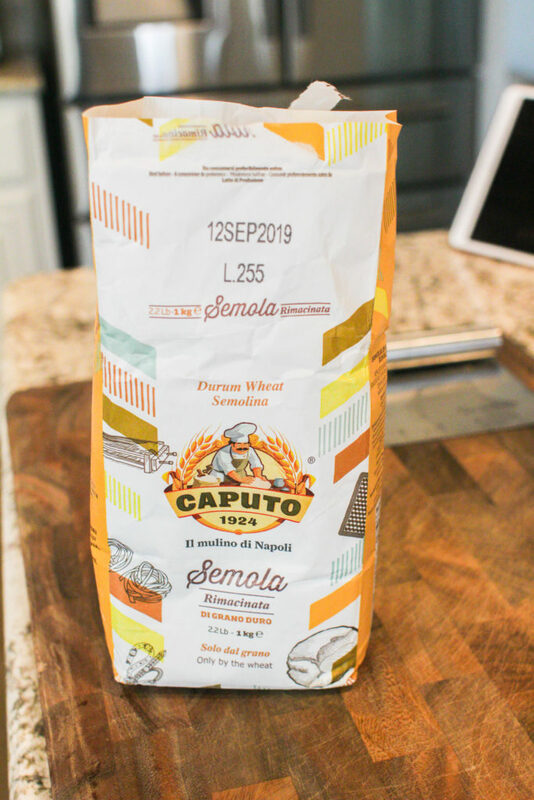 I bought special semolina flour imported from Italy. You can also find the Bob’s Red Mill version at some grocery stores. 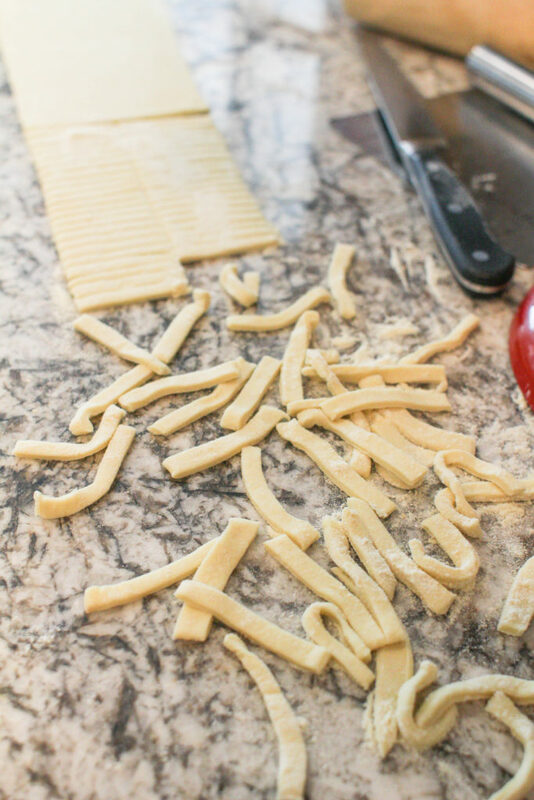 It’s important to use semolina flour for egg-less homemade pasta. It’s yellow color and coarse texture may lead you to believe that it’s cornmeal, but it’s really high protein durum wheat. The high protein helps create a firm pasta. You’ll simply combine the flour, water, and salt in the bowl of a stand mixer. Then, you’ll knead for about five minutes. You’ll end up with a nice, smooth ball. Cover it with plastic wrap and let it sit for about 30 minutes. If you need to make the pasta dough ahead of time, you can refrigerate it. Be sure to let it sit out at room temp for 30-40 minutes before processing. You can hand roll and slice the pasta, or you can use the fettuccine cutter attachment for the stand mixer. The first time I made this, I hand cut each one. It took forever. The second time, I definitely used the fettuccine cutter. You want them to be two inches long, so use kitchen scissors to snip the pasta as it comes out of the machine. The sauce smells SO good when it’s simmering. Garlic, rosemary, red pepper flakes and onion powder get nice and toasted in some olive oil, then simmered with chickpea liquid. You’ll drain the can of chickpeas, but be sure to save the liquid! It’s thick and sweet tasting, perfect for creating a sauce that tastes like it has butter in it (but it doesn’t!). Once you’ve cut the pasta, add it to SALTED boiling water (don’t forget the salt). I don’t set a timer — I just remove the pasta with a slotted spoon and add directly to the sauce. Be sure not to rinse the pasta as this will remove all of it’s starchy coating and the sauce won’t adhere! You can top the dish with freshly grated parmesan and chopped Italian flat-leaf parsley. 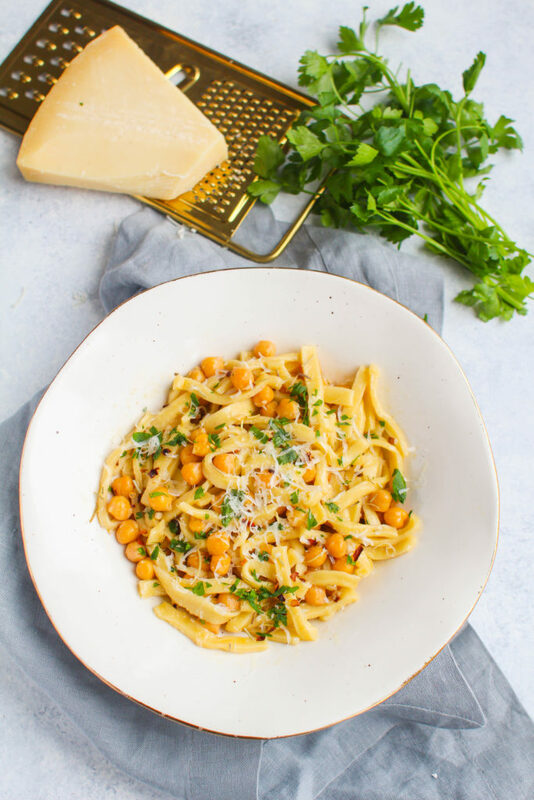 This dish tastes super fancy and like you spent a ton of time — but the most time consuming part is just cutting the pasta! The sauce comes together in less than 15 minutes. I fed this to my vegan sister and she said it tasted like it was made with a ton of butter because of the tender and smooth mouthfeel. But that’s the trick– no butter! I hope you try this savory and herby pasta! Combine the salt, water, and semolina in the bowl of a Kitchen-aid stand mixer. Combine with the paddle attachment until a sticky ball of dough is formed. 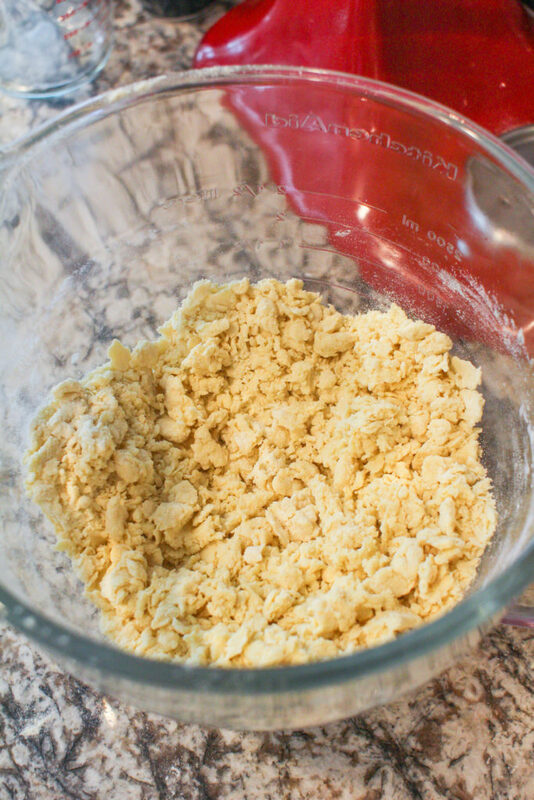 Add more water if it's too dry and more flour if it's too sticky-- you want it to be slightly sticky to the touch. Place the dough on a floured surface and knead for 5 minutes. Cover the dough with plastic wrap and let sit for 30 minutes. 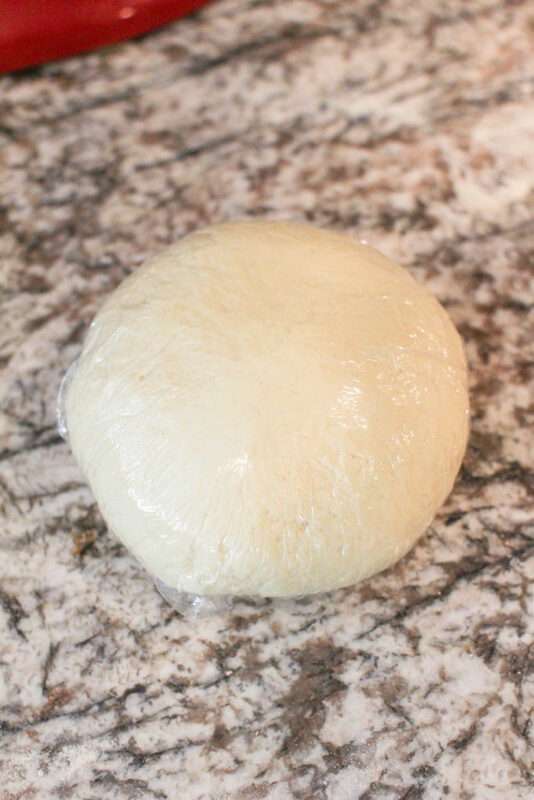 The dough can be made ahead of time and refrigerated, but remove from the fridge and let sit at room temperature for at least 30 minutes before processing. When the dough is ready, cut into four equal pieces. Roll into flat, 1/4" thick pieces and feed through the pasta sheet attachment. Then, slice the pasta into 1/4" by 2" pieces. Alternatively, use the fettuccine attachment and cut into 2" long pieces. Let the pasta rest on a floured surface until ready to cook. In a large sauce pan over medium heat, add the olive oil. Add the onion powder, rosemary, garlic, and red pepper flakes. Cook, stirring, for 2 minutes. Add the chickpeas and let cook for 5 minutes. Add the salt, white wine and reserved chickpea liquid and let simmer for about 10 minutes. 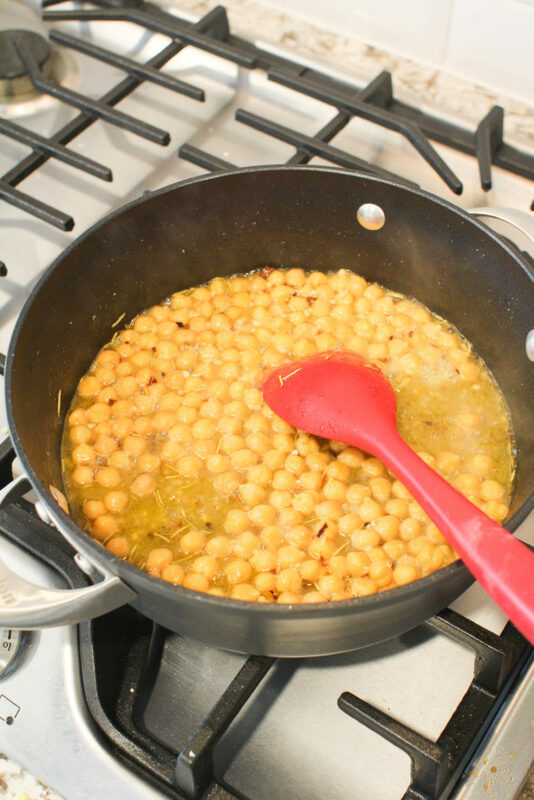 You'll use about 1/2 cup of chickpea liquid, up to 1 cup depending on how thick you like your sauce. Bring a large pot of water to a boil and add at least 1 Tbsp of salt. 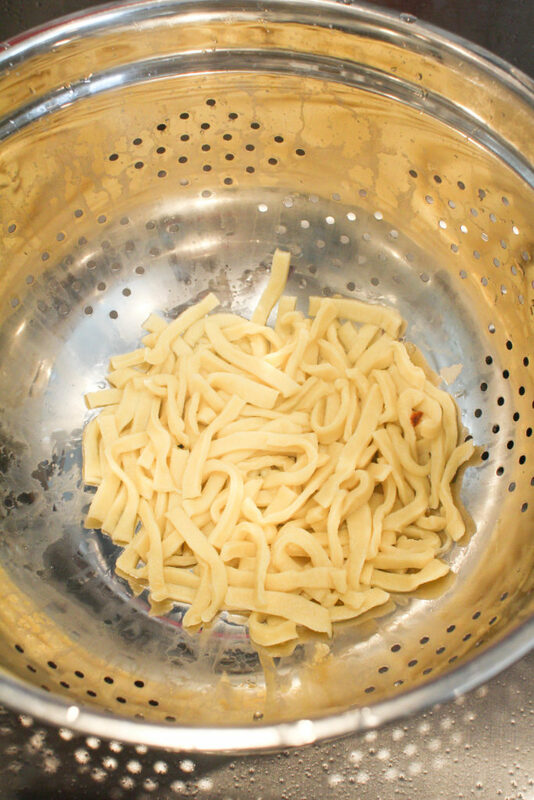 Cook the pasta until it floats, approximately 1-2 minutes. Drain and add the pasta directly to the sauce. 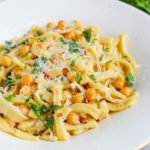 To serve, drizzle with a little extra olive oil, a dash of freshly grated parmesan, and top with minced Italian parsley.